In 2015, GW received more than $40 million from the Department of Health and Human Services through the National Institutes of Health to continue diabetes research. As the number of cases of diabetes grows, GW researchers are making sure they’re catching up. 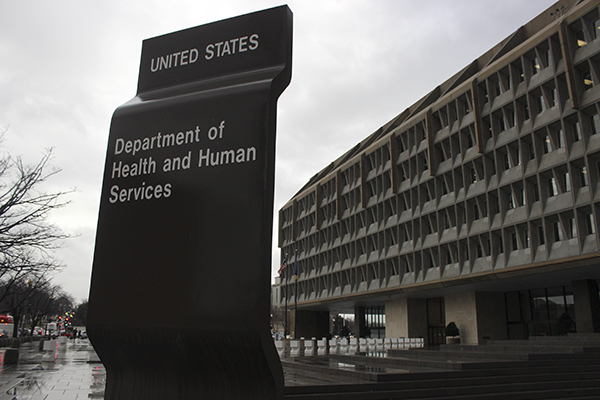 The number of grants researchers have received from the U.S. Department of Health and Human Services to research diabetes has doubled in the past five years, according to documents detailing the grants. Researchers said the increase is due to the continued research efforts of GW’s Biostatistics Center and an increase in the number of diabetes diagnoses. In 2015, GW received more than $40 million from the Department of Health through the National Institutes of Health in six research grants to study prevention and treatment in Type 1 and Type 2 diabetes. In 2010, researchers received about $20 million for two grants. John Lachin, a research professor of biostatistics, epidemiology and statistics, is currently leading two diabetes-related research projects at the Biostatistics Center. One of his projects has been ongoing for the past 30 years. Lachin said winning follow-up grants to long-term projects is difficult because the researchers have to develop “a new set of objectives” to justify the continuation. He added that his 30-year study is the largest and longest on Type 1 diabetes. Lachin said the research has found that aggressive control of glucose levels can restore the quality and longevity of life for Type 1 diabetes patients. Lachin received the largest grant in University history in 2012 when he received $134 million to study Type 2 diabetes drugs. The award includes more than 40 clinical centers and tracks certain drugs’ ability to lower glucose levels on 5,000 patients. “What we are trying to do is either evaluate treatments that can prevent the development of diabetes in the first place or treatments that can be the most effective and safe in treating diabetes,” Lachin said. Over the past year, the researchers have published papers in the New England Journal of Medicine, the American Medical Association and other prominent medical journals, Lachin said. A National Diabetes Statistics Report released in 2014 found that 29.1 million people in the United States have diabetes, and 8.1 million go undiagnosed. Reported incidents of diabetes have increased about 5 percentage points from 1996 to 2013, according to the Center for Disease and Control and Prevention. Marinella Temprosa, an assistant research professor of epidemiology and biostatistics, said her study is evaluating the effectiveness of intensive lifestyle and pharmacological intervention in the prevention of diabetes. The study received more than $4 million from NIH in 2015, a $2 million increase from the year before. “Over the years the diabetes incidence has increased over time globally and so there is still great interest in looking at what are the effective interventions on how to prevent diabetes,” Temprosa said. Temprosa said that one of the interventions researchers have looked at may help with cardiovascular disease and cancer as well. She said that she just received a continuation grant to study the cardiovascular and cancer outcomes. “It is kind of pivoting over time the different focuses of the cohort, but the important thing is that we keep the cohort intact in order to answer those important questions,” Temprosa said.